It received one last debate by Hamilton public school board trustees, but demolition will proceed on Sanford school. Community member Joanna St. Jacques, who lives near the Sanford Avenue North building, made a last-ditch effort to save the structure on Monday night. She told Hamilton-Wentworth District School Board trustees that their process hadn't been transparent enough, and that the building deserved further consideration. But after some debate, trustees voted to receive her presentation as information, meaning demolition on the 80-year-old building will proceed in January. "Maybe they have done everything right and maybe they have followed their own process, but I would say that they have not," St. Jacques said after the vote. "This is just another one that's going to go on the books, I guess." Sanford School building closed in 2001. It was a holding school in 2010 while Cathy Wever, Dr. Davey, Prince of Wales and Queen Victoria was being built. The board voted to close the 70,000-square-foot school in 2001, and in 2003, declared the building surplus. It circulated the property to preferred agencies in 2005 and no offers were received, spokesperson Jackie Penman said Monday. The school acted as a temporary location for students while Cathy Wever, Dr. Davey, Prince of Wales and Queen Victoria schools were built. 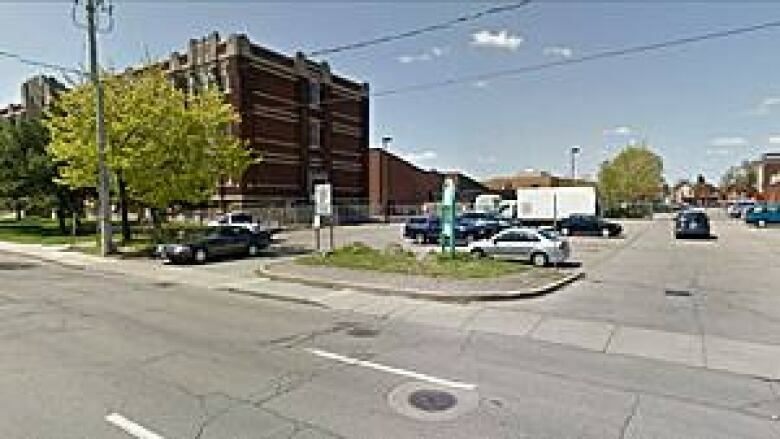 Those students left in 2010, and on Nov. 21, 2011, the board voted to demolish it to create needed green space in the neighbourhood. The demolition would also make room for an extension to the Pinky Lewis recreation centre, although city council has not approved the estimated $15 million cost, and it could take years to come to fruition. Lawyer Michael P. Clarke stepped forward last month with an interest in developing the property. He envisioned loft condos, artist studios and community use. 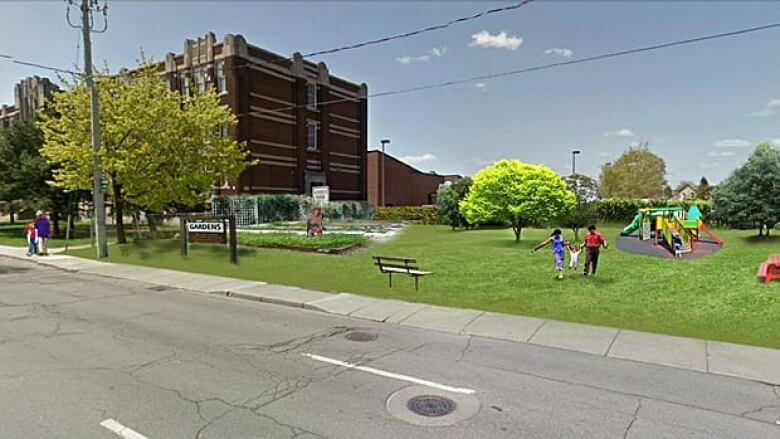 His preliminary plans show that green space could be created without demolishing the school. "I understand the board wants its green space and they want a place for kids to play," Clarke said before Monday's meeting. "But you can do all of that and keep the building." If the demolition happens, "this property is going to be a vacant lot for a very, very long time," he said. St. Jacques said many members of the community, as well as councillors on the city heritage committee, didn't seem to realize the building was scheduled to come down. Her efforts to find out on the website resulted in confusion and broken links, she said. Not everyone at Monday's meeting wanted to see the building stay. Alana Thomas, a mom of four Cathy Wever students, said she wants the park her community was promised. "It'll give the kids a safe place to play and something to look forward to," she said. "They see buildings all day long. It's not that Sanford isn't a beautiful building. It probably was in its heyday. Now it just attracts the wrong element." Thomas recalls a time when her children were playing in the adjoining Pinky Lewis rec centre and it was locked down because a man with a weapon was in the vacant Sanford school. Alex Moroz, chair of the Cathy Wever community hub, said his organization wants three things — a community space, green space, and a gym. "We've never taken a position on building, demolishing or removing," he said. "We just want the end result to be those three things." Trustees Laura Peddle and Ray Mulholland voted to take another look at the Sanford school plan. Peddle worried that the community had forgotten the 10-year-old plan to make it parkland, and suggested more consultation. "I would rather be prudent and take some time and get back to selling the vision." Thomas had a simpler suggestion. "When buildings get to be this age, take pictures," she said. "Right now, my children have a strip of AstroTurf to play on. Not even a field. A strip. And a lot of concrete."